‘Standing in their gap’ was a phrase that we saw and heard in Rwanda. 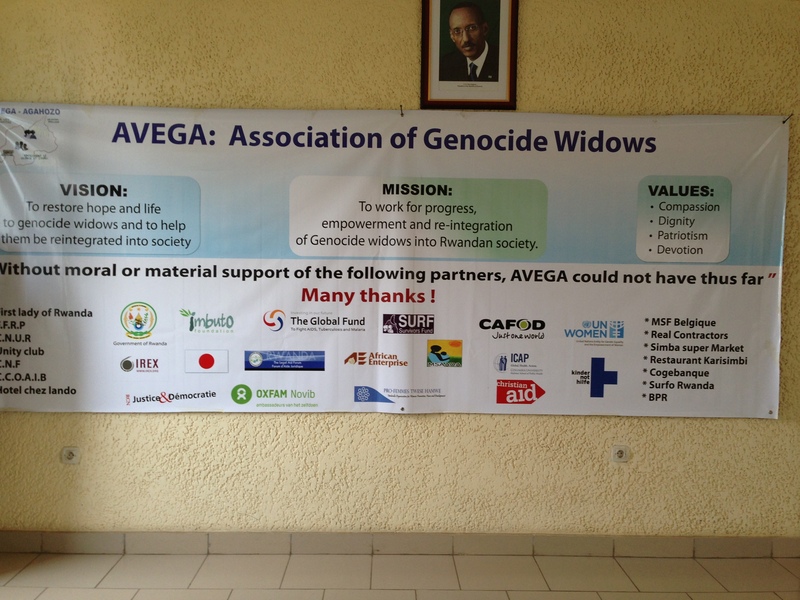 We saw it etched on the wall at Ntarama church where the children had been killed in the Sunday School and we heard it from Odette, the founder and leader of the largest Widows organization in Rwanda, AVEGA. Odette spoke of what it had been like as widows began to meet following the genocide. Often alone in the world they saw the number of children who were left without family and they decided that they could give something to those who had died and to those who were left – they could stand in their gap, providing family for the orphaned. Courageously they saw a way into the future in which they could stand in the memory of what had happened but build a future together with others who suffered too. The widows of AVEGA were not alone. All around us in Rwanda were people who courageously faced the future and drew on their pain to empower them for a future in which the things of the past would never happen again. Church leaders work alongside government to provide opportunities for remembering and depth to the idea of reconciliation and its reality in post-genocide Rwanda. The ordinary everyday people we met who looked after us in the guest house and drove us around the country also spoke of reconciliation. They smiled about the future while carrying the weight of the past. I will be eternally grateful to them all for their humanity, courage and openness in speaking of what it has been like and what they hope the future will be like. I salute their courage and commitment and their willingness to look to the future and to work for a better future. Their names will not be recorded in books of history but they are, all of them, history-makers. Back in Northern Ireland I find it hard to settle back in to our politics and civic relationships. There are many people of courage here in Northern Ireland, people for whom it is an act of courage to get up in the morning as the memory of the past oppresses itself into their very soul as they open their eyes. They have found ways to live in today and they have found ways to look for a better future. But the frustration of a politics which cannot seem to grasp the future can be overwhelming. There was no self-indulgence in Rwanda among political leaders who applied themselves, without restraint, to the future and to resisting the past. They make the sacrifices that need to be made and they do not over-indulge the painful memories or politics of the past. In Northern Ireland we are still indulging the old rivalries, failing to complete on the things of the past and constrained in making the final steps of agreement that move us on into the real politics of the future. The result is that we turn on each other, finding ways in which to attack, often in very personal ways, those who are working into the future. A political framework for the future was provided to us by the Belfast Good Friday, St Andrews and Hillsborough Agreements. 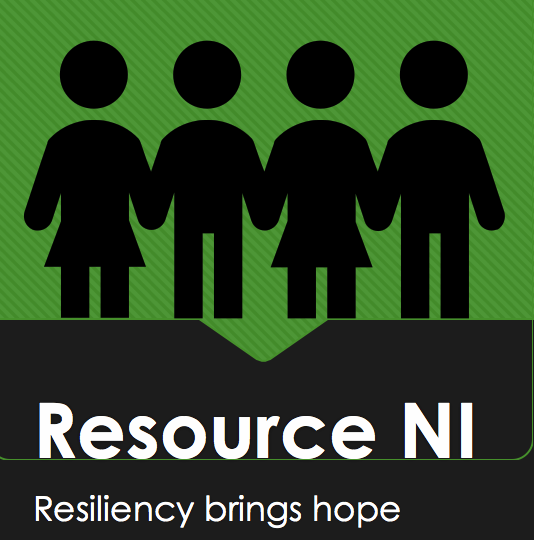 Management of the old rivalries is provided for through the Parades Commission and by the funding of many community projects aiming to bring new relationships into being. Those who live with the ongoing impacts of the violence that was visited on so many is provided for through the Commission for Victims and Survivors and the Victims and Survivors Service. The Equality and Human Rights Commissions hold the challenging brief of securing a society in which none is overlooked or marginalized. The Children’s Commissioner has in her care the generations growing up in a new Northern Ireland. Healthcare and education arrangements have changed and are still in need of the new politics which are concerned less with old rivalries and provisions. Prisons are involved in a change management programme, moving towards a service by which prisoners can be enabled to make changes to their lives. But every effort is subverted again and again by attachments to the old conflicts and wars, the old hatreds and worries about them and us. There is a self-indulgent edge to it all as civic relationships teeter on the edge of abrasive hatred, displayed in disputes about flags and parades and Maze/Long Kesh. When this self-indulgent politics allows public relationships to collapse into personal attacks and words of hatred which permit no redemption then it is time to stop. It is time to stop arguing about the philosophies that surround dealing with the past. It is time to stop thinking about what ‘they’ will get or have got. It is time to stop eating dinner to talk around the issues and wonder about whether or not it is a good idea to do anything about the past. It is time to sit up and decide what can be done because if nothing is done then every change management programme, every sore from the past, every attempt at advocacy and every desire to build a society in which we all take a share in the future, will be subverted. Things will only change when we decide that it is time to do something rather than sitting back and allowing it to run its course, putting more people to death and binding more people to the past in the way in which we do our relationships, public and private. It is time for shared enterprise and not self-indulgence because the future is at stake and if we do not see that then the past will become the present all over again. We are now ‘standing in their gap’. We stand in the gap to honour those whom we grieve and those who carry the wounds of the past and we stand in the gap to make sure that what happened in the past will never happen again. ← Resonance in Rwanda: Remembering who we are.